Alongside standard party essentials, the range includes some exciting decorative accessories. 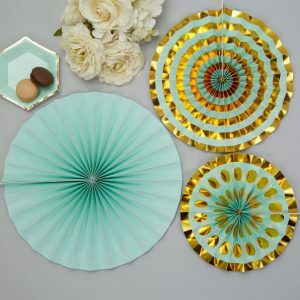 Pretty pinwheel decorations offer a no-fuss way to dress tables and other areas of party venues, while party scatters provide another simple but effective way to add extra interest. Pinwheels are available in large, small and medium sizes while the scatters offer a mix of hexagonal-shaped colours and sizes. 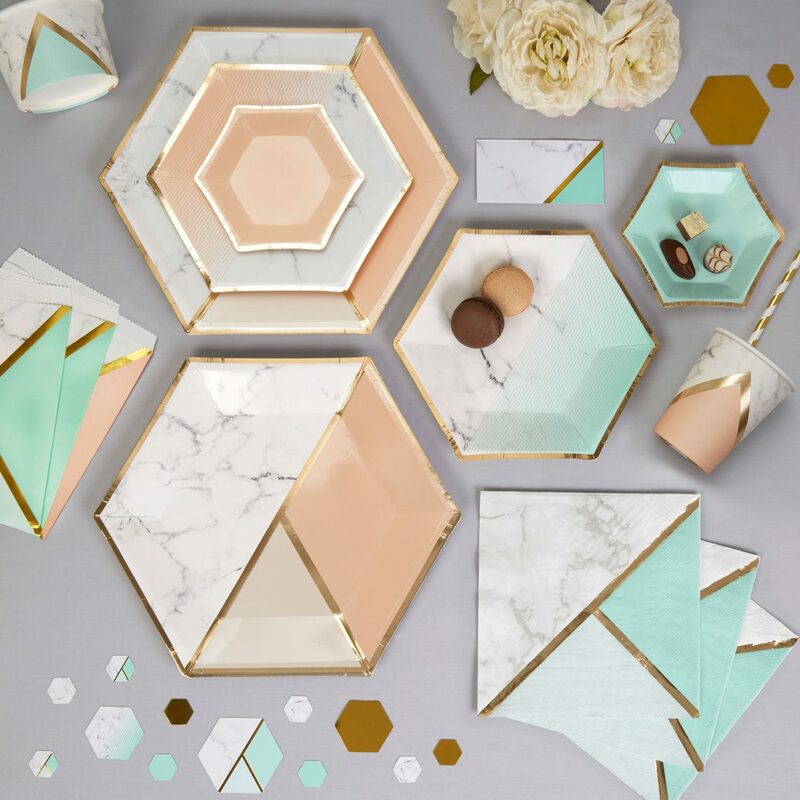 The tableware keeps things a bit different with its hexagonal-shaped plates, while cups, treat tubs and napkins draw on a bold geometric design to continue the theme. Plates are available in large, small and medium sizes, making them both suitable for standard table settings as well as for displaying and serving buffet food and canapes. The smaller size, meanwhile, is ideal for cake, petit fours and other after-dinner treats. 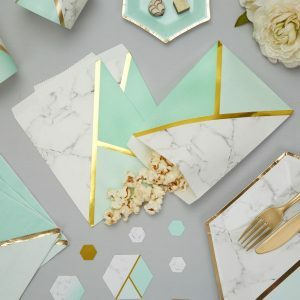 Featuring a mix of complementary designs (plain mint/peach and a mix of marble, mint/peach and gold) the plates offer a stylish way to create a cohesive theme for party tables. 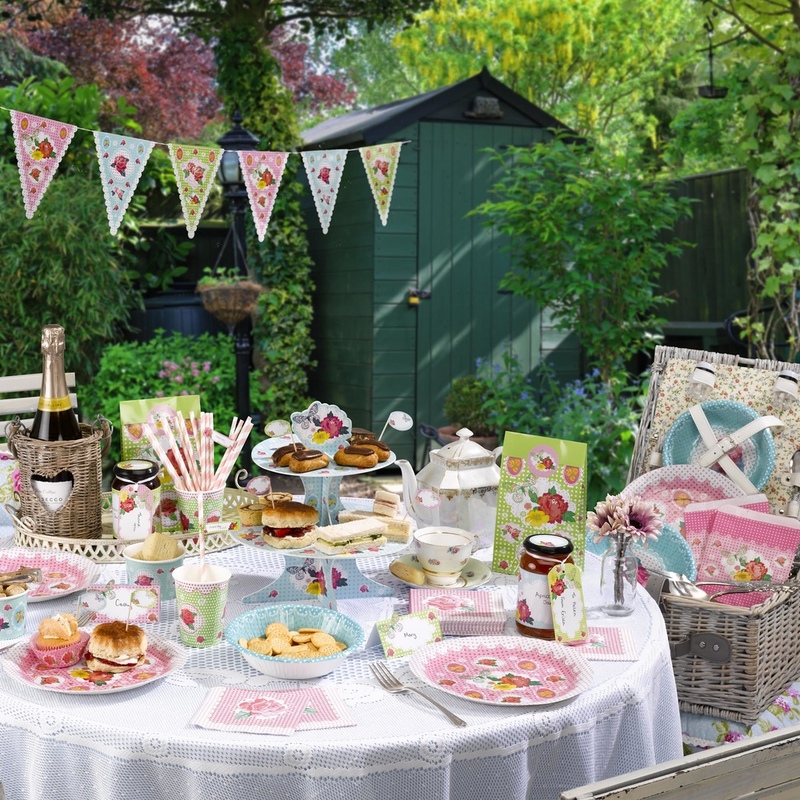 Cups, treat tubs and napkins also feature while other accessories in the range include retro-style paper sweetie bags, pretty candy-striped paper straws and elegant name cards. Cakes and canapes, meanwhile, can be embellished with marble-design picks, adorned with gold text. 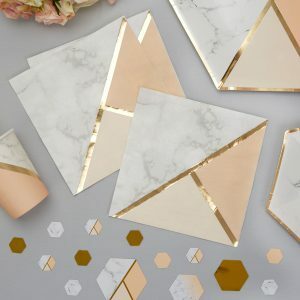 Offering a sophisticated and on-trend way to dress each element of a celebration, the Colour Block Marble Range brings something really different to weddings, birthdays, anniversaries and other special occasions. With its striking design and subtle gold accents, this range brings versatile elegance for lovers of a sleek, contemporary aesthetic. 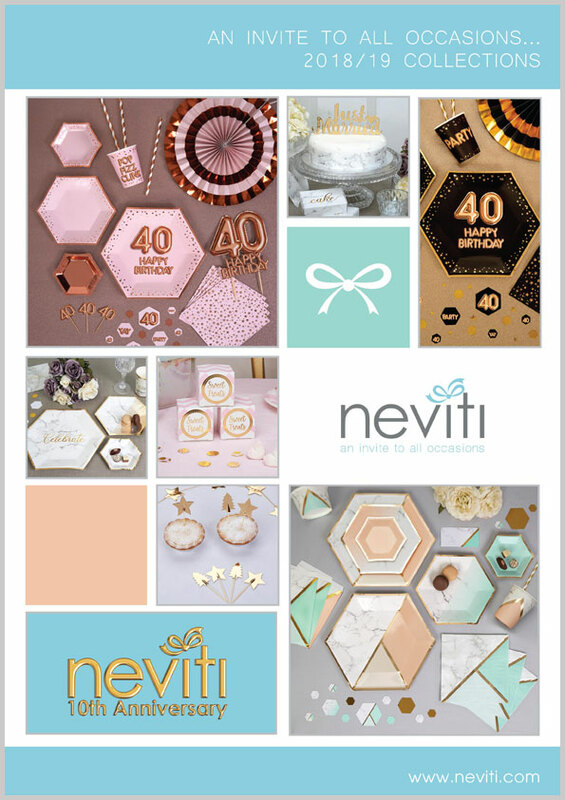 Visit www.neviti.com to take a look at the full range in both Mint and Peach.